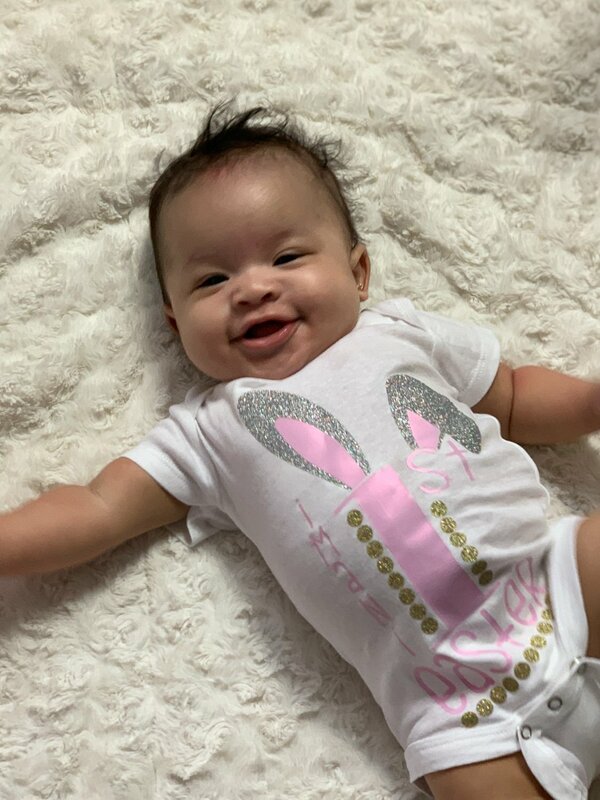 If you are looking for Easter basket ideas for babies, and you own a Cricut then this post is especially for you. 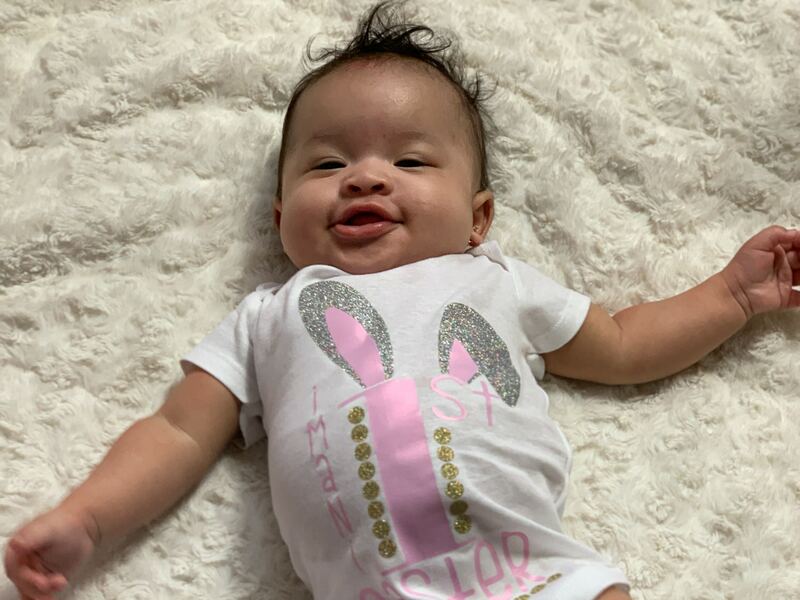 This cute little bunny ears, easter onesie will be the talk of Easter dinner. You can add this into the baby’s Easter basket, or even have them wear it for the day. 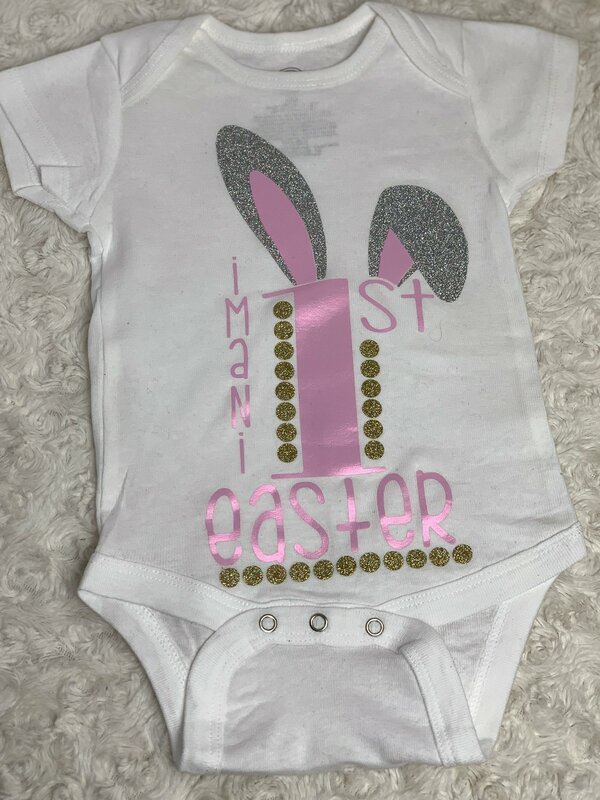 Either way, this cute Easter outfit makes for a great gift for a baby boy or baby girl. The great thing about my free svg cut files is not only can it be used with my favorite, the Cricut. The free cut files are also compatible with the brother scan and cut, and also the silhouette. Also, you can change and make the colors any color you want once you upload the free svg files for Cricut into Design Space or whatever program you are using. It is pretty Hard to find Easter gifts that babies will love. Especially for their first easter. Because most babies for their first easter have no idea what is going on. They can’t participate in the Easter egg hunts or the other fun activities that the big kids will do. Don’t know what to buy a baby for Easter? Why buy anything? 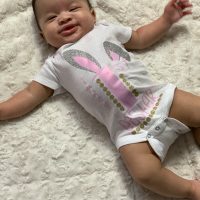 If you have a Cricut cutting machine the possibilities are endless as to what you can make for them, this onesie is a perfect project to make. I am working on a first easter bunny that is uber cute and made with my Cricut. All of my files are free for personal use. You may NOT ever sell a file that you buy from me, you may, however, make items with the files to sell. You can email me at the contact tab for commercial licenses. All of my files have been tested so you know for sure that they will work with design space. And because it is an SVG I assume that it will work with the others, I don’t own those machines so I am no help there as far as troubleshooting. Make sure you join my group to for great tutorials and to share your amazing creations too. Check out these great posts too! Looking for ideas for the baby's first Easter basket, and you own a Cricut then this post is especially for you. 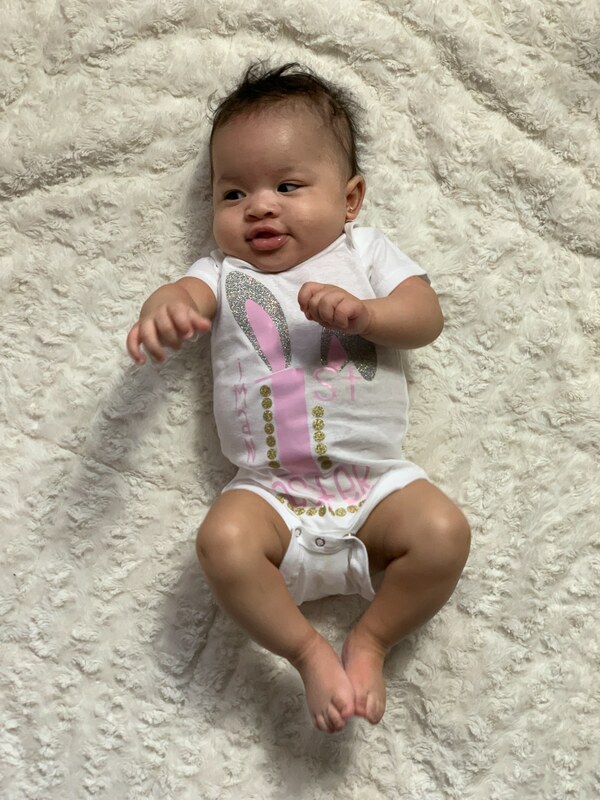 This onesie is easy to make and cute! This post shows the design on a onesie, but the design can be used for basically anything you want it to and colors can also be changed.